If you think there might be mold in your house, you can find affordable mold testing and inspection services from Green Home Solutions in Boston. 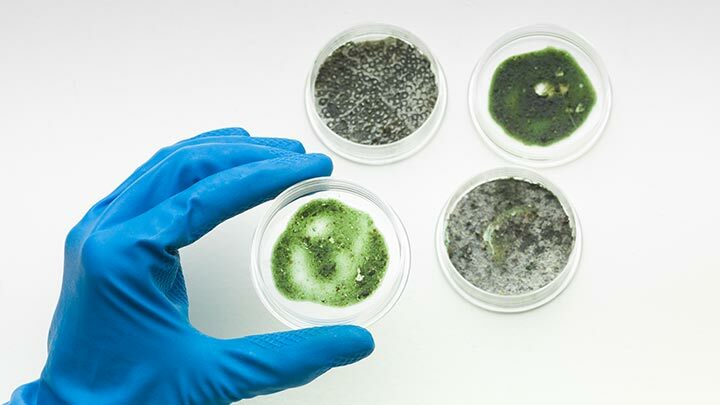 We provide diligent and thorough mold testing using state-of-the-art technology and scientifically backed methods. We know that testing is vital to making sure that you’re able to quickly and effectively deal with any mold problems. You won’t always know if you have mold just by smell or sight, which is why an inspection can make all of the difference. Mold testing is always the first step to successfully treating mold growth in your Boston property. It allows our team to quickly identify sources of mold and moisture, so you not only know where mold growth is, but what’s causing it. With testing, we can better establish the extent of mold remediation, so you can get a targeted treatment that gets right to the heart of the problem. Testing before and after treatment is essential to confirming that mold remediation worked. You see existing mold growth in your home, possibly in your bathroom, kitchen, or basement. You smell a musty or mildewy smell, which may indicate hidden mold or moisture. You feel unwell, with mold-related symptoms ranging from headaches, coughing, fatigue, or allergies. At Green Home Solutions, we strictly adhere to Environmental Standards Organization guidelines, so that our team can deliver reliable results backed by third-party confirmation. We use the latest technology and techniques to assess your home, looking for mold growth as well as problem areas with excess moisture. If there are rooms in your home that you’re worried about, our representatives can focus on these places. With our mold testing services in Boston, we first conduct an inspection using infrared technology. If it’s required, our team can take additional samples from surfaces or interior air, which will then be examined by an independent lab. This level of detail allows us to provide a comprehensive analysis, so you have all the information you need to take next steps. If your home has mold, don’t worry. In addition to mold testing, Green Home Solutions provides fast and affordable mold remediation services to the following areas: Boston, Brookline, Newton, Cambridge, and Watertown. We can complete treatments in as little as 48 hours, with powerful remediation that stands the test of time. Let’s find out if there’s mold in your home. Call (781) 319-9888 to speak to one of our representatives in Boston, and to schedule mold testing from Green Home Solutions today.